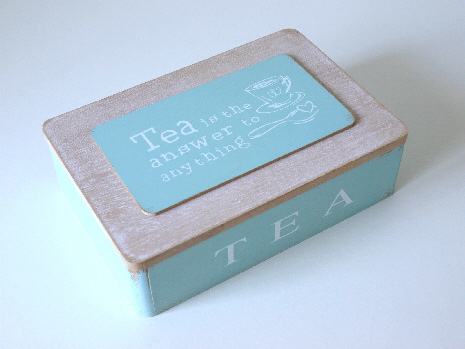 Shabby chic vintage distressed effect wooden tea box with six compartments and a hinged lid. Painted pastel green with natural wood inserts to separate the six compartments. Dimensions: Length 24cm x Width 16cm x Height 7.2cm approx’.